It wasn’t the 90 degree heat of summer (2016) that had me exhausted but the task of digging up my 8 years worth of cultivating my beds from a once barren landscape. It proved to be one of the most difficult tasks for me emotionally and physically. Why did I dig up my garden? I should say garden beds because I had to prepare my house for sale. 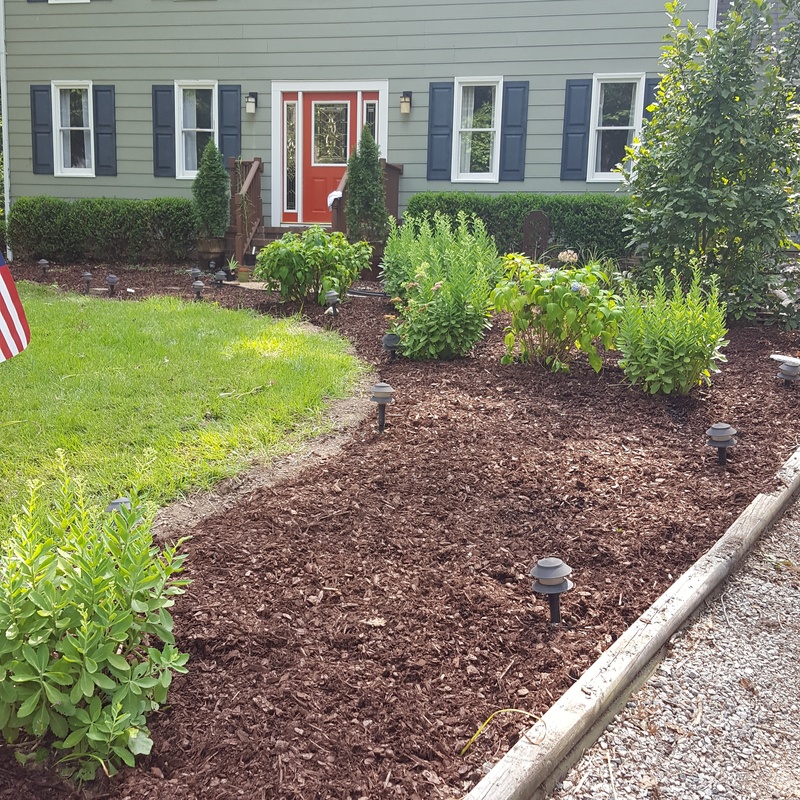 Being a gardener and selling your home is quite an ordeal because buyers want simplicity- clean mulched beds filled with green trimmed bushes. Ugh- so boring! If you are a gardener, then you know that going from flowers buzzing with the sounds of bees and the beauty of the blooms swaying in the breeze to perfectly square foundation shrubs and edged beds filled with neat wood mulch tugs at the heart strings of the gardener. I lived for eye catching yellow of the Blackeyed Susans and the purple spikes of the Salvia mixed in with the blooms of daylilies and coneflowers. My beds were filled with the glorious delight of bees, butterflies, and Finches. But not anymore. I had to rip all that up. It was like cutting away a piece of me. I cried as I dug up my beautiful flowers. For 2 months now I have had to stare out my windows at the few flowers left and all the brown mulch that fills the void where my flowers once stood. I saved much of shade garden which is now sitting in pots or plopped on the ground in a shady spot under the Oak trees. I show you a picture of where all my ferns, hostas, and even Iris are just sitting waiting for my new home, my new garden. I have friends and neighbors amazed that my once beautiful lush gardens are now piled in a remote spot which adjoins my back yard. My beautiful plants are still alive and growing. This keeps my emotional state in check and calm knowing that my gardens are going to come with me to my new home (where ever that may be). I saved seeds from my Coneflowers and even a few random seedlings that popped up.I threw (literally) the daylilies in the woods because I just could not save everything. Much to my surprise they are thriving! I have a hydrangea sitting atop the ground surrounded by some coneflowers, Autumn Joy Sedum, and even a few clumps of Variegated Solomon Seal. I had to dig up my American Beauty Bush and even my beloved Japanese Maple. The house is up for sale and I am looking for my new home. 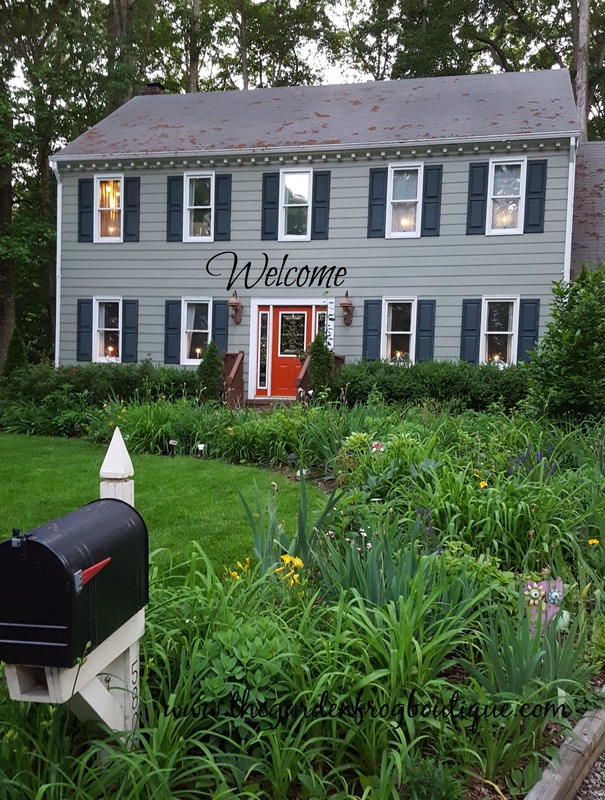 My youngest son graduated from high school in June and it is time to downsize and get the hell out of the suburbs. I found an area I love and hope that I can find a new home for me and my 4 fur babies. I do have a house in mind, another fixer upper, with a decent size lot on the edge of a small town which backs up to woods. Plenty of room for the hundreds of hostas, ferns, and other plants I dug up. 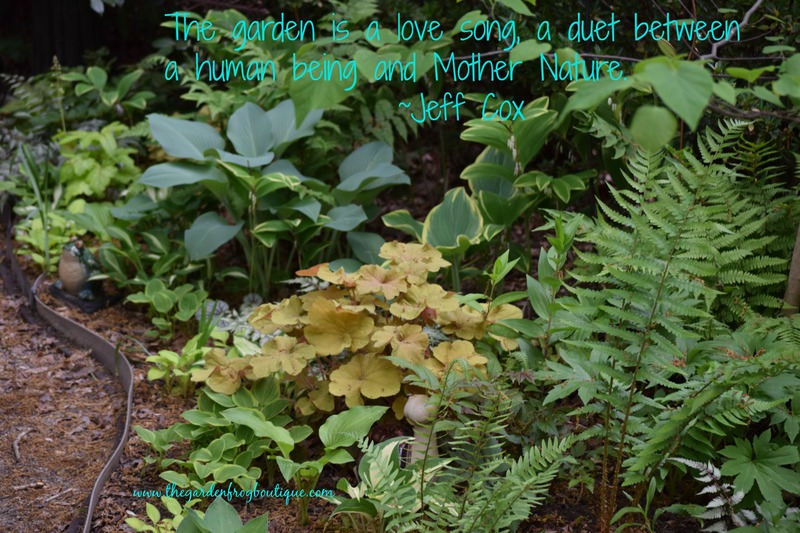 I am getting back on track with my blogs so stop by and visit my other blog The Garden Frog Boutique.Thank you for stopping by and watch as I journey through starting over not only in my gardens but in life. I wish you didn’t have to do this but I am glad you can salvage some of your favorites! It was a sad time for me. 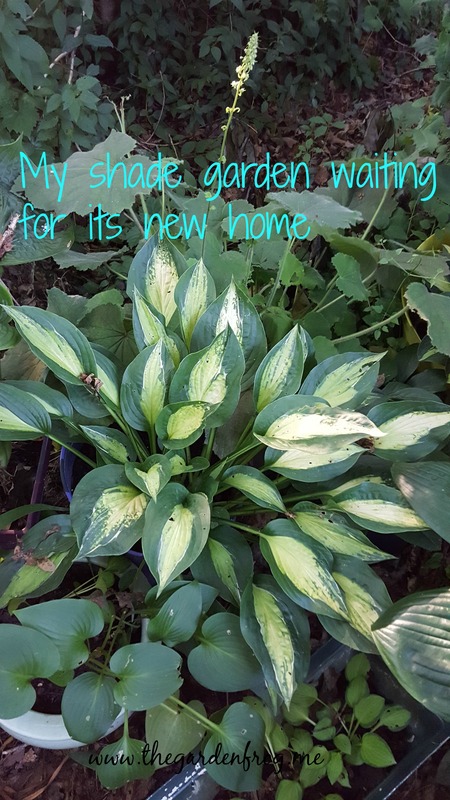 But knowing I am taking most of my garden with me keeps me happy. Thanks for reading! When I moved, I also tried to bring as much with me as possible. About 12 rose bushes, my phlox, Hostas, TONS of irises, peonies, lilac bush, lilies, Hen and Chicks (Succulents) …so I kind of understand where you’re coming from. I wasn’t willing to let anything go. My heart breaks for you but I’m glad you’re taking some with you…and when you get to your new home, your garden will be beautiful once again and I can’t wait to see all the pics! Thank you. 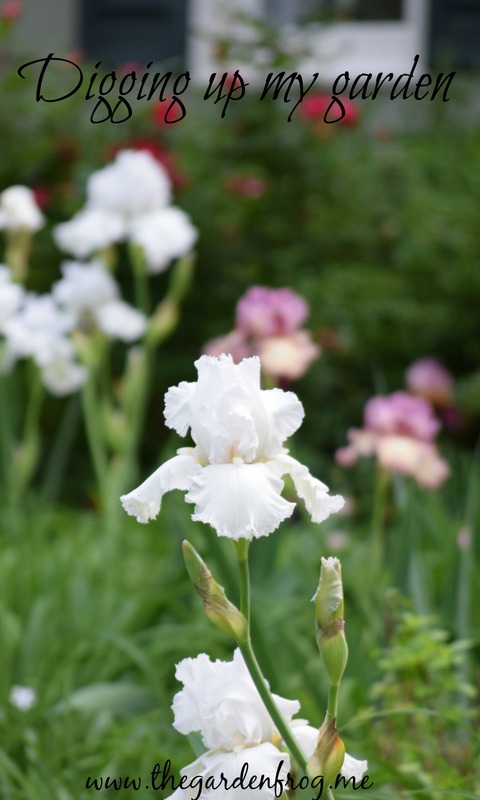 I love Iris and it is my favorite flower-it is hard being in between and writing and sharing helps me through this. Have a great day! I’m sorry that you are going through such a hard time, but I’m happy that you were able to dig up and taking your plants with you. I hope that you find a place soon so you can get on with your new journey in life.